most recyclable materials so that we may provide our customers with the best products in the market. 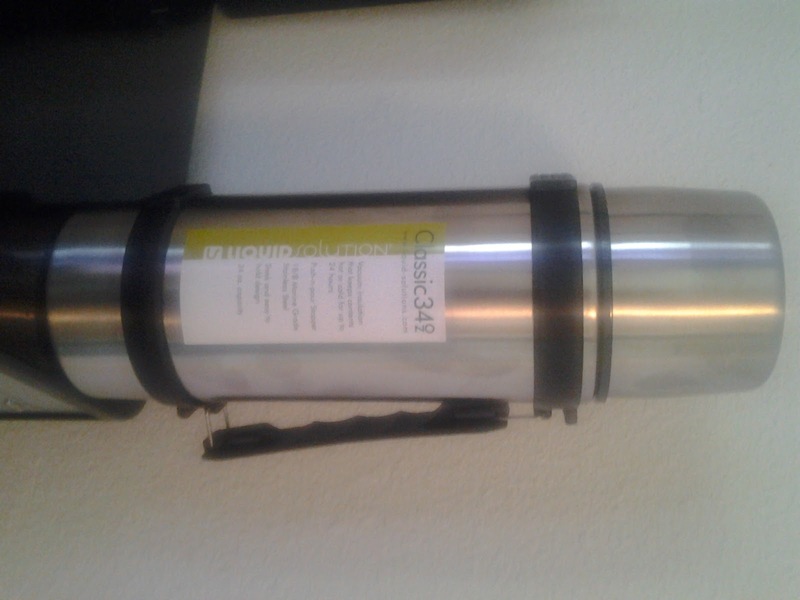 I received the Classic 34oz Vacuum Bottle from Liquid Solutions This would have made a great winter review, but here it is spring, and it still makes an amazing review..Why? Because for people who like my husband and I that love to go fishing, camping, and hiking! This is the perfect accessory for the fellow outdoors men/women. I love the outdoors in the spring and summer. The minute it hits warm weather, thankfully it was warm here in Oklahoma before the first day of spring. I have been shopping around for misc. camping gear to restock last years used/broken equipment. The one thing that we didn't buy last year that we wanted was a vacuum Thermos, why? Because they are either cheap made, or great made and seriously over priced! Yikes! I was not willing to pay that much for a cheap thermos. Yes I know I'm cheap. But that's why you keep coming back to read what I have to say about products, because I always find you the best products for a reasonable or amazing prices. This thermos is no little gulp. It has a major 34oz gulp to it. Perfect for a 2 person drink. The great thing is that it's not plastic. or ew. Metal. I have drank out of other people's Thermos's and it tasted like I was drinking out of a metal pipe. Ugh! It tasted horrible. With this thermos the water was clean tasting, the juice was sweet and refreshing, and the soda was crisp and not bogged down with awful chemical flavors. Bleh. 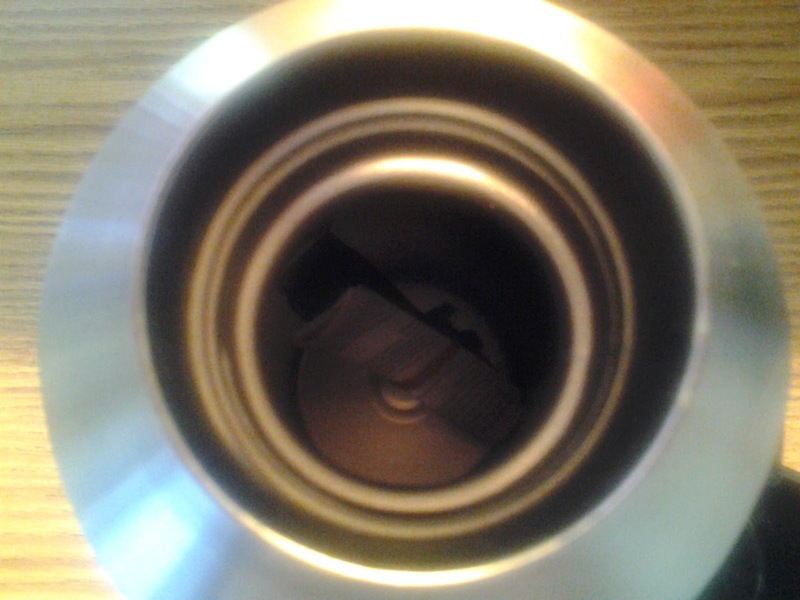 The thermos was easy to clean, I squirted a little bit of soap inside turned the hot water on, poured a little bit of water into it, swished it around, and rinsed. For the soda. I did the same thing, but I used a baby bottle brush and cleaned inside for the dried on sticky soda that was glued into the inside bottom. I turned it over and let dry on a towel. Easy. 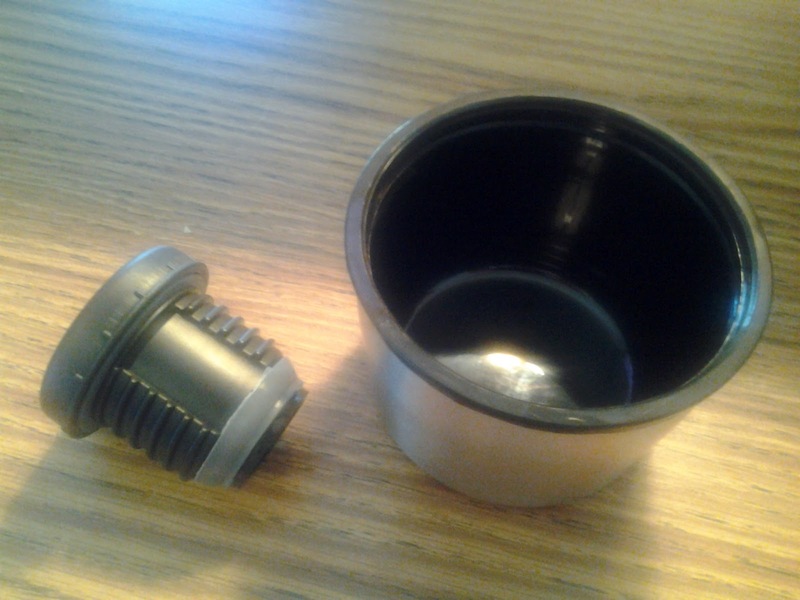 I was afraid that the plunger was going to be cheap made, and the screw lid was going to strip. I have had others that did this to me so I have been picky when it comes to my camping gear since. I tried these out, and voilà! this have came out to be the best thermos I have ever owned. 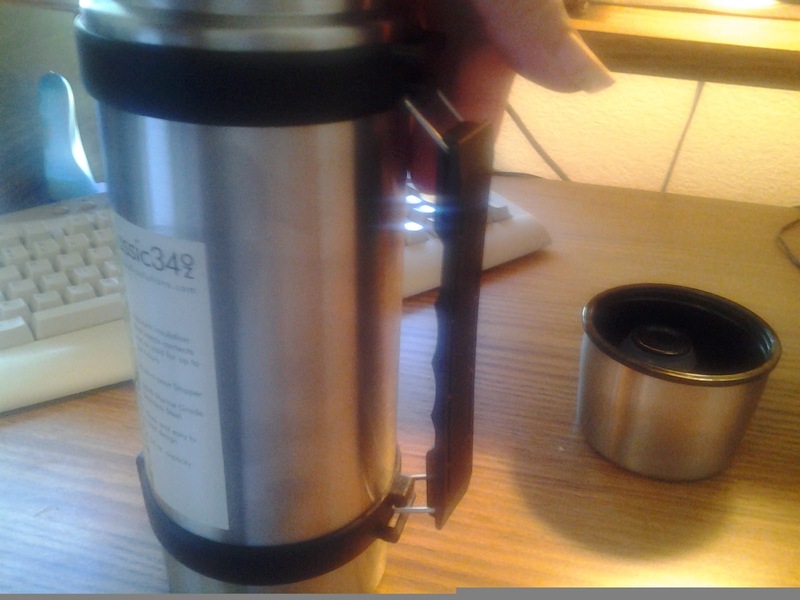 I recommend the Classic 34oz to anyone who Is looking for a good thermos for a very good price. Perfect for the outdoors person. Would make a great gift for fathers day, Birthday present, or just getting ready for camping weather. I love the handle on this thermos. I have owned previous thermos that has rubber handles, and every time my hands start sweating the Thermos would fly right out of my hands, because it felt like jello. Others would be made out of metal and they would turn slippery also and some were even sharp and would pinch or cut my hand. Not a great way to start out a fishing or camping weekend. 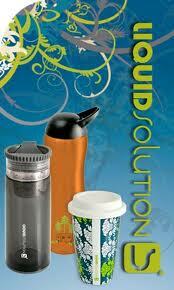 This thermos is made of hard plastic, that has finger grips made into it for easy of comfort and portability. The built in links make it easy to move, grab and keeps your fingers from being crushed between the thermos and the handle, which is always a plus. I don't think I will ever buy another thermos. I have found one that I love and can afford. Check out Liquid Solutions for other amazing products that I would love to have! such as .. the Trend Tumbler, and the Tea-zer. You will love the variety of amazing products they have to offer to their customers. ♥ I receive no monetary compensation for this review. I was provided a thermos try and give my honest opinion.